NEEDLES—A Mohave Valley man is behind bars after being arrested following a vehicle pursuit Friday with San Bernardino County Sheriff deputies. 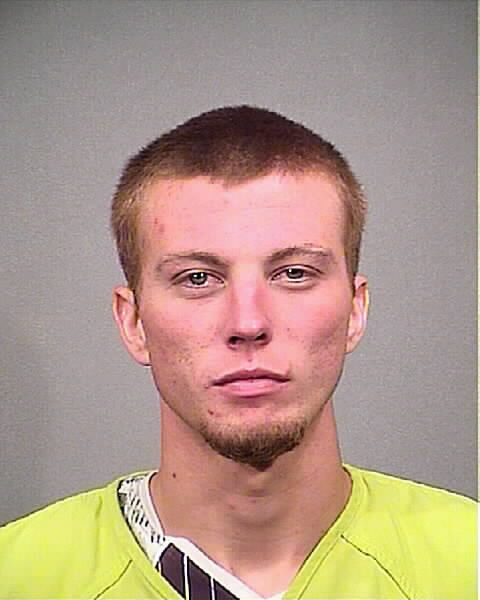 Anthony Mayfield, 25, was allegedly behind the wheel of a reported stolen 2005 Chevy Tahoe in Needles when deputies attempted to make a traffic stop on the vehicle. According to a sheriff’s department release, the agency received a tip about a vehicle that had been reported stolen the day before within their jurisdiction. Deputies conducted an area check early Friday morning in the 1200 block of Riverview Lane where the Tahoe was reportedly located in front of the residence. While conducting surveillance, deputies reportedly noticed a white male—later identified as Mayfield—approach the vehicle and drive away. A traffic stop was attempted, but Mayfield reportedly failed to stop and began leading SBCSO deputies on a short vehicle police pursuit into Arizona. Authorities say the pursuit ended shortly after when Mayfield reportedly caused the stolen vehicle to become stuck in soft sand. Mayfield is alleged to have fled on foot, but was found by deputies by a shed before being apprehended. A search of the stolen vehicle reportedly turned up additional property items from several reported residential burglaries in the Needles area. Records show Mayfield was on active parole in Arizona for vehicle theft and had an active no bail warrant for a parole violation. SBCSO said Mayfield was turned over to the Mohave County Sheriff’s Department where he is being held at the Kingman jail on no bail. Authorities continue to investigate this case and anyone with information is asked to contact Deputy Yates or Detective Caronna at the Colorado River Station/Needles Police Department at ‪760-326-9200‬. Those wanting to remain anonymous can call the WeTip Hotline at 800-782-7463 or leave information online at www.wetip.com.